Have you noticed some of the new, unwelcome guests at the garden? 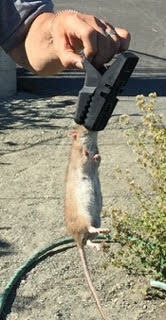 The link below goes to information on rats that was provided by the P-Patch City Office. It pays to know your enemy! So please read and act on the recommendations as best you can. If you do have piles of old wood and other debris on your plot, please remove. Next Next post: Fall Tasks – Winterize & Renew!